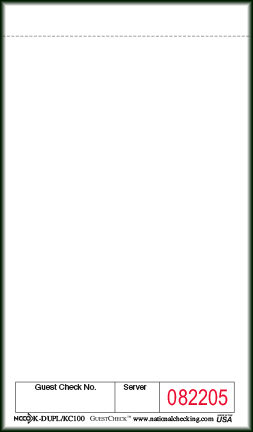 Small single copy paper K-DUPL100 guest checks can be used as a standalone blank pad or to create duplicate copies of any single copy paper or board check. 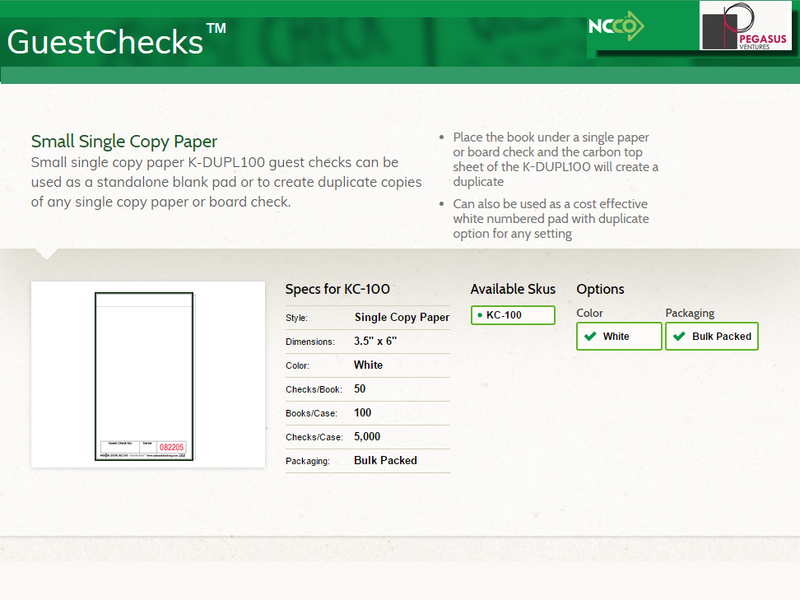 Place the book under a single paper or board check and the carbon top sheet of the K-DUPL100 will create a duplicate. The K-DUPL100 comes bulk packed in cases of 5,000 restaurant guest checks and are printed on an EarthSafeBond™ bond paper. Looking for a guest check holder for the K-DUPL100? 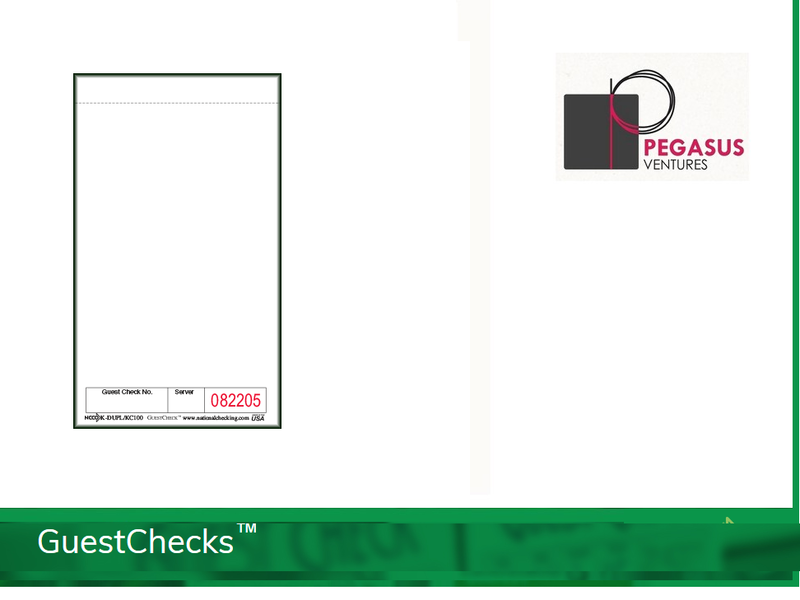 The AL-300 found below works great with these restaurant guest checks from National Checking Company.